The benefits of early exposure to foreign languages, music, travel, and sports on a child’s developing brain are well studied. The early years become the architecture of future learning. The same holds true of science, technology, engineering, and mathematics. STEM exposure at an early age becomes an integral part of the intellectual scaffolding upon which other disciplines and interests thrive. But what if the girls in your life–your daughters, nieces, even neighbors–are past those early, formidable years? What if they wear headphones instead of footie pajamas and are more likely to crack a Geometry book than Dr. Seuss? Brain architecture in late-blooming STEM Gems is no less impressive. All women, regardless of age, are capable of erecting skyscrapers of the mind. Early is good. Now is even better. STEM is all around us. STEM is in the car that takes your daughter to soccer practice, in the pink hair dye your niece uses to assert her independence, and in the street angles where your neighbor girl does trick skateboarding. Having adults around who point out the greater STEM picture in everyday life can leave a tremendous impact on a child’s STEM perspective. And you don’t have to be a STEM-oriented person to help your daughter or niece or neighbor recognize the STEM possibilities in the world around her. Raising four children, my mom always looked for the best deal. She was a walking calculator. Mentally calculating percentage-off prices during holiday shopping and gratuity when dining out became a fun ritual she passed on to my siblings and me. When a delivery came inside a cardboard box, we made a game of the volume and dimensions, creating units out of everything from foam peanuts to stuffed animals. We figured out how many boxes we needed to construct the cities in our minds. My dad was a firm believer that girls should work with tools and throw balls, not just play with dolls. My sisters and I were often outside with my brother, helping dad fix his car. We passed him tools and laid on the ground beside him, looking at the car’s undercarriage to understand what he was doing. After, we tossed baseballs and dribbled basketballs in the backyard. Without us knowing, my dad was teaching us the fundamentals of physics. After these experiences, learning about force and acceleration in high school was intuitive. My parents didn’t simply sit us down one day to teach us about how to be an engineer. Through their actions and words, they intentionally demonstrated the fundamentals of STEM all around us. This foundation helped us to find our way into STEM careers. Talking STEM means deconstructing life, one small moment, one small experience at a time. 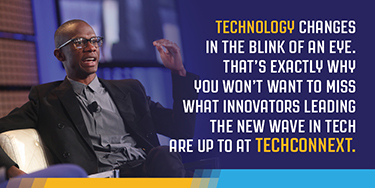 Every piece of technology, every tool, every food, every event, has a basis in STEM. Pick the moments and experiences that speak to your daughter, neighbor, or niece. Help her to realize that someone in a STEM field had a hand in making those ideas a reality. Not every girl is fortunate enough to build cardboard cityscapes and share a nightly dinner table with a STEM Gem. It’s important to remember, however, that STEM Gem role models are closer than you might think. 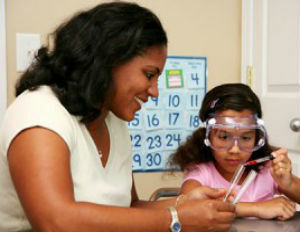 STEM Gems are pediatricians, science and math teachers, and web designers for your small business. STEM Gems can also be found in books, magazines, online, and at local events. Media can be an amazing source of STEM inspiration, but it can also send young women mixed messages. Overwhelmingly in television and movies, STEM roles are portrayed by men. The few women who fill STEM roles in the media are often eccentric, goth, socially awkward, or just stereotypically nerdy. While some girls can relate, the majority of girls cannot picture themselves cast in that type of role in their lives. The media has only just begun to embrace women of all shapes and sizes and colors in science, tech, engineering and math roles. Pay attention to these STEM messages and guide the young women in your life into meaningful conversations about the perception of STEM and how perceptions might influence her and her peers. Seeing women in STEM roles is critical to combatting the inevitable disparaging remarks that girls who show an interest in STEM sometimes face. If girls have an established mindset from a trusted source that women can excel in STEM fields, they will be better equipped to respond to naysayers who tell them they’re not good enough or that girls can’t succeed in STEM fields. When I applied to MIT to pursue a chemical engineering degree, I never dreamed so many girls had the mentality that STEM was a boys-only endeavor. Beyond the tremendous role models I had in my childhood, I participated in countless programs that exposed me to STEM. By the time I reached college, my rightful place in STEM was so ingrained, no one could crush my determination. Participating in STEM programs geared toward girls unleashes something powerful in young women. Being part of a room full of like-minded individuals, engaged in a unifying project or experience, energizes. Once girls are surrounded by peers who are excited about robotics or creating software or studying animal species so that we may better preserve them, our daughters and nieces and neighbor girls find their tribe–a group of individuals who share common passions. Many universities, corporations and non-profit organizations are trying to remedy the lack of a solid STEM pipeline for girls and other underrepresented populations by offering programs and initiatives, both in summer and year-round, often fully or partially funded to the participant. I highly encourage participation in these local STEM opportunities. Not only does the content open up the STEM world to girls, but it also fosters discussion about STEM and models women in STEM roles. Talking STEM, seeing STEM, and exposure to STEM are the most consistent themes in the back stories of the 44 STEM Gems highlighted in STEM Gems: How 44 Women Shine in Science, Technology, Engineering and Mathematics, And How You Can Too. These three factors are doorways to the enriching world of a STEM career. Above all, approaching science, technology, engineering and math with intentionality is the best way to ensure future generations of women are well-represented in STEM fields. STEM Gems: How 44 Women Shine in Science, Technology, Engineering and Mathematics, And How You Can Too is designed to inspire possibilities in girls and young women of all ages. Profiles of forty-four successful women in each of the four STEM disciplines–science, technology, engineering and math–highlight vastly different paths, but three factors consistently made an impact on their willingness to consider a STEM career. Women 2.0 is building a future where gender is no longer a factor. Founded in April 2006, it’s now the leading media brand for women in tech. The for-profit, for-good company takes an action-oriented approach that directly addresses the pipeline from all sides: hiring, founding, investing, and leading.